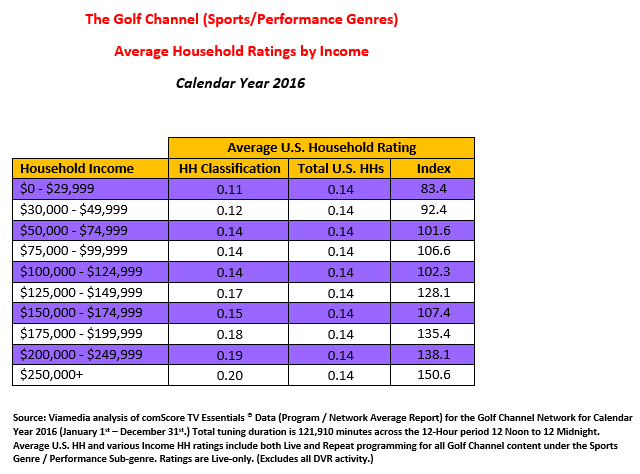 You often hear about the “Big Four” of professional sports (football, baseball, basketball and hockey), but when it comes to the sheer amount of programming content throughout the entire calendar year, nothing quite matches the game of golf. 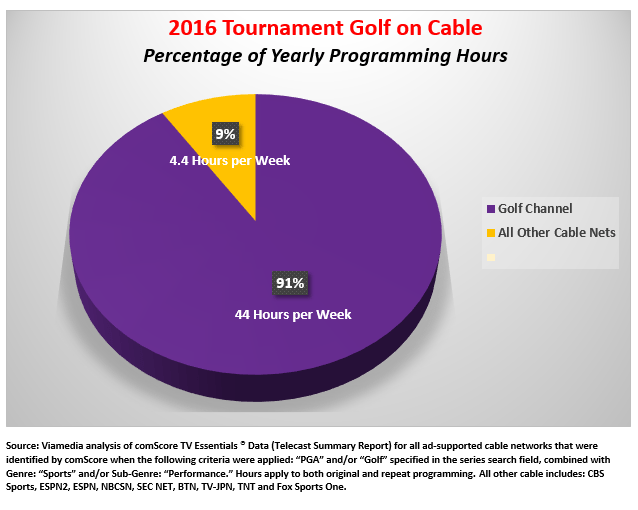 And, while viewers can readily find tournament golf on several cable networks (such as ESPN, FOX Sports One and TNT), there is one cable network in particular that carries an astonishing amount of golf. 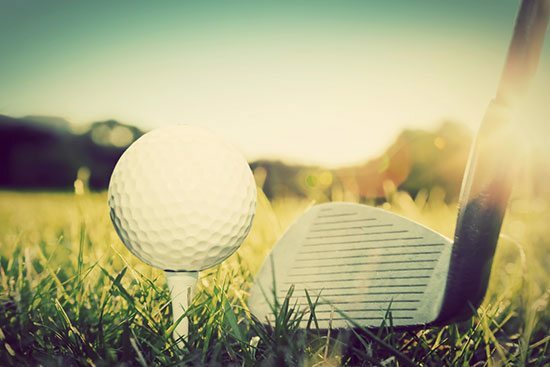 To some degree, there has been a certain level of democratization for the game of golf – spurred on, perhaps, by one of the greatest golfers in modern times (Tiger Woods) who learned the game – not at some swanky country club – but on public golf courses. 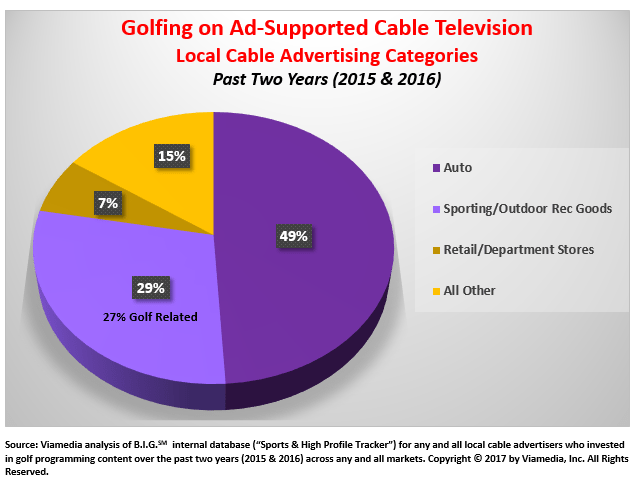 But when it comes to watching the game of golf on television (especially Golf Channel), the audience is decidedly upscale. Full disclosure: I watch a lot of golf on TV. Why? Because a cranky, stiff lower back and the sheer frustration of poor putting sent me to the couch years ago. And that’s where I am right now as I write this blog with a warm mid-April sun laying to rest the last vestiges of winter. But I doubt our New York Tri-State Area local duffers missed that much golf over the past several months. 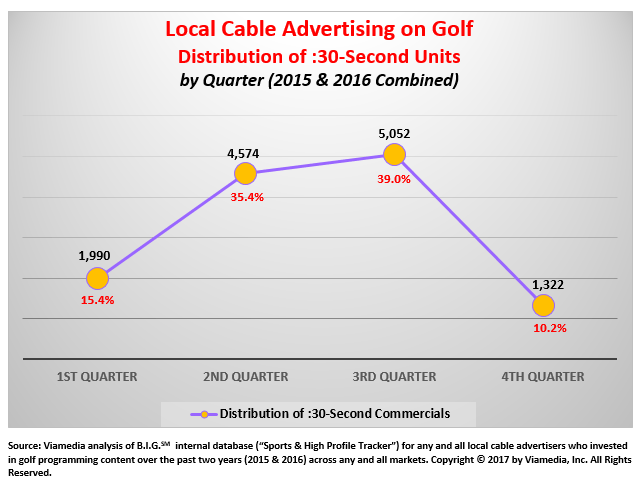 Somewhere in the world it’s always summer and a golf tournament to be found on cable TV… enough video content to satisfy the most inveterate golf fans, as well as local advertisers who want to reach this very upscale cable audience.